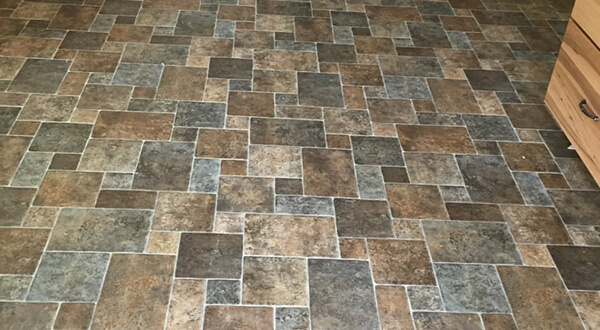 Because of its versatility, durability, and ease of maintenance, ceramic tile is a great flooring choice for kitchens, bathrooms, laundry rooms, and entire homes and offices. Tile is unique among flooring surfaces in that it can add a personalized artistic statement while remaining highly functional. At Fullerton Paint & Flooring, we carry an extensive selection of gorgeous ceramic, porcelain, travertine, marble, granite, and slate tiles, primarily manufactured by Mohawk and LDI. Their tiles come in a wide array of colors, styles, and patterns to complement any decorating scheme, and are also fire-glazed to provide a protective coating that seals the tile's color, design, and overall surface. In most cases, tile can be cut and fitted for any floor diagram and configuration, making it an excellent choice for areas with curved, rounded or uneven surface flooring. Decorative tile can also be added to provide accents, stylish borders, or distinctive edging on other types of flooring. Once installed, tile flooring can last for decades with minimal upkeep. Our professional installation of tile and stone includes showers, backsplashes, fireplaces, commercial kitchens, and bathrooms. 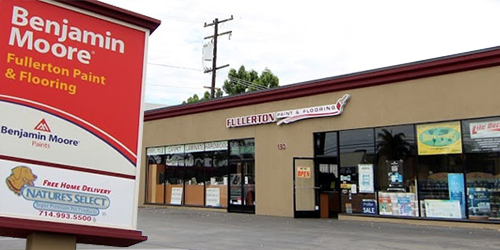 Call or visit Fullerton Paint & Flooring today to arrange a flooring consultation with one of our professionals. Each person on our staff has at least a decade of experience and can offer reliable guidance on nearly any flooring project. We assist our customers through every aspect of their project, from initial consultation to installation, and apply the industry's best methods for tile floor installation, to ensure that we always achieve exceptional results and complete customer satisfaction.